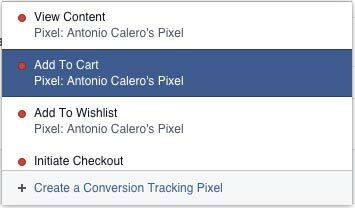 Facebook is implementing an updated version of the Custom Audience and Conversion pixels, which is great news. However, many marketers are still confused about the implications of this. The official announcement from Facebook is too technical for most users, and there isn’t (yet) a clear step-by-step guide explaining how to implement this new pixel. If you are also one of those confused marketers struggling to find your way around Facebook’s upgraded pixel, you are in the right place! Keep reading. Implementing the new #Facebook pixel is an easy process with many benefits. There are were two types of pixels available on Facebook, each with a different function. Audience Pixels: They are used to create website custom audiences. There’s only one pixel per advertising account. Conversion Pixels: These pixels have a double function: optimize advertising campaigns and track conversions. However, as Facebook kept improving their advertising platform with new features, there was a need for a more robust pixel. One of these features is Dynamic Products Ads, which allows retargeting users who have visited specific products or categories from your website. If you have just a few products or pages, retargeting could easily be done using Website Custom Audiences; but as the product range increases the process becomes more complex. That’s where Dynamic Product Ads become really useful. Including lots of different conversion pixels in your checkout pages is not a feasible option. All that code could slow down your website (which affects your SEO); and pixels could conflict with each other. Facebook’s upgraded pixel has been implemented to solve all those issues while providing a more effective reporting process. What Are The Main Features of The Upgraded Facebook Pixel? Pixels are unified: There’s no need to use different pixels to track audiences and conversions. Loading is 3X faster: This improves your website SEO and reduces risks of malfunctioning. Pixels can be shared: Very useful when working with agencies or collaborating with other businesses. Multiple event tracking: New pixels allow tracking up to 9 different standard events, each of them with a set of parameters. Let’s dig into each of these features. Until now there were two types of Facebook pixels with different functions: Audience Pixels and Conversion Pixels. It was quite normal for a website to include several pixels in different pages — and sometimes within the same page. As we have seen, this practice could bring some problems. Using Facebook Pixel Helper to test the pixels installed on a page, it is quite easy to see how multiple pixels take longer to load and could create errors — as you can see in the next image. Now Facebook has simplified things by developing a single (and more robust) pixel. 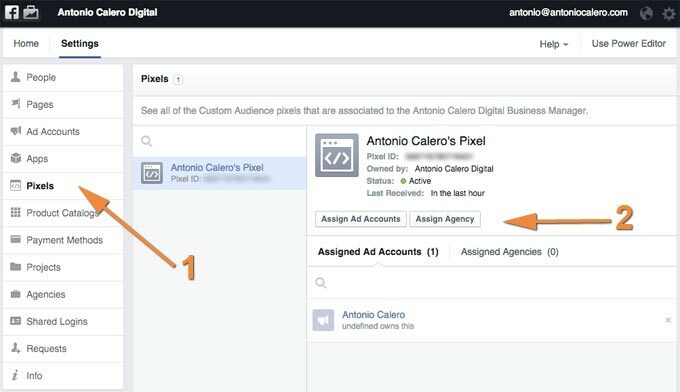 The new #Facebook Pixel integrates Custom Audiences and conversion tracking in a single pixel. Depending on the function(s) required, the code associated could be more or less complex and include extra lines. However, the base code is unique and common to all pages in the website. Thus, moving forward you’ll need to include the new pixel in all the pages of your website, and then adapt the code only on the ones where you’ll like to track conversions. The new pixel provides faster loading times, which is certainly an advantage — especially for complex websites that require tracking multiple conversions. A pixel is actually an image of a size 1 x 1px (hence the name) that is loaded by a browser when a user accesses a page. Having multiple pixels would require loading multiple images and thus increasing loading times. However, this is not the main problem. Once the pixel is loaded, the code associated notifies Facebook’s servers; the more pixels, the more information that needs to be sent. Multiple pixels could try to communicate with Facebook simultaneously, and this could generate conflicts. With the new pixel, not only do you need to load one pixel, but all the information associated is sent to Facebook once. Thus, increasing communication speed and reducing the risk of errors. Imagine having 50 cars carrying 50 people (one per vehicle) from one place to another — or moving the same number of people in a bus. Same amount of people, but less traffic. Sometimes a business may want to share their pixels with another company. This is quite normal when working with agencies or as part of a business collaboration between different companies. For example, a blog reviewing some products may be reached by the producing companies, so they could retarget users reading the articles related to their brands. 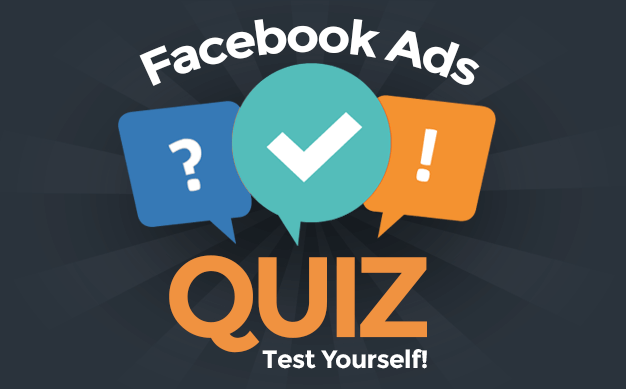 This process has also been simplified, and pixels can be shared with other Facebook Ad Account or Agencies. Sharing a pixel is available only through Business Manager. To share your pixel, just follow these steps. Select your pixel and then click on ‘Assign Account’ or ‘Assign Agency’, depending on your specific needs. Remember that when you share your pixel, the other party will be able to see your code, including your pixel IDs. You can stop sharing a pixel at any time by clicking on the X next to the name of the Ad Account or Agency you want to revoke access to your pixel. These actions were enough for many businesses, but quite often complex websites required more information. Also, the only data tracked (apart of the number of conversions) was the conversion value and currency. Now, the new pixel allows tracking 9 different user actions (or standard events). Each of these standard events can incorporate a series of parameters that could provide additional data. As you can see, this structure allows for more effective conversion tracking. For example, now you are able to understand the exact value of abandoned carts on an eCommerce website and redesign your retargeting strategy with a specific ROI goal in mind. The first step is really simple; all it requires is placing the following code into each page of your website, just before the closing </head> tag. This is what we call Base Code. Remember to replace <FB_PIXEL_ID> with your own pixel ID — the one associated to your account, NOT the ones used to track conversions. Facebook will open a new window. On the right side you’ll have an information box showing your pixel ID, as you can see in the following image. So far we have only implemented the pixel code required to create audiences. 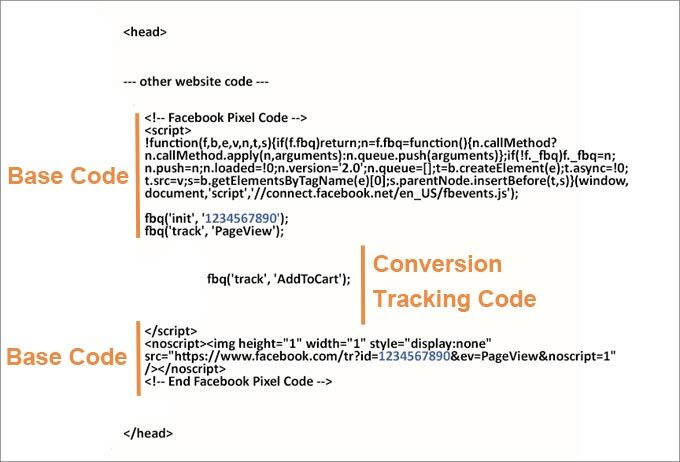 As we have seen before, tracking conversions requires adding some extra code as part of the base code — but only on the pages where the conversion will happen (remember that the base code needs to be implemented in ALL pages of your website). The base code needs to be loaded before the conversion tracking code. The conversion tracking code is part of the same script that contains the base code, and thus it must be included before the closing </script> tag. The structure of the conversion code could vary depending on the event being tracked, but it will look similar to the following. For example, let’s say you want to track leads on a page where users request a brochure for a new Volkswagen Golf with a market value of $40,000 USD. Then you could place the following code on the page that is displayed after users submit their data. You can also track several conversions in the same page. All you’d need to do is add another piece of extra code — always before the closing </script> tag. Once you have included the new pixel in your website, including the code to track conversions in specific pages, you are ready to remove all previous pixels. There’s something important you should consider before upgrading to the new pixel: Facebook is still rolling out this new feature, and your account may not be ready yet to read information received from the new pixels. Through a new Custom Audience Pixel Stats API and in Power Editor and Ads Manager we are gradually rolling out a new pixel view and troubleshooting dashboard that allows marketers to get a snapshot of the pixel traffic on their website. This means there could be cases where Power Editor or Ads Manager do not report the standard events for the new pixel. In these cases upgrading to the new pixel would show zero conversions for your campaigns. Go to Ads Manager or Power Editor and create a ‘Website Conversions’ campaign. 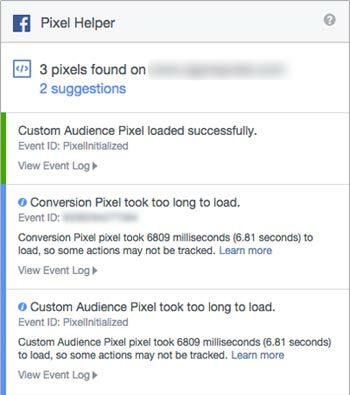 If your account is ready, Facebook will display the new 9 standard events — together with any conversion pixels you had created previously. If you cannot see these 9 standard events, then your account is not ready yet. If this is the case, don’t worry. 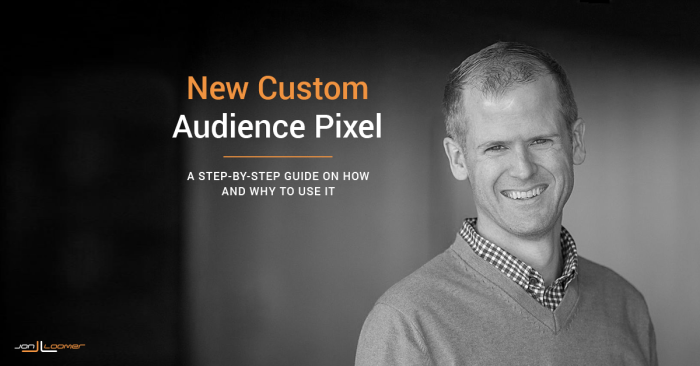 Your existing conversion and custom audience pixels will continue to work and you can keep using them until Facebook migrates your account to the new pixel. The new version of the Facebook pixel offers great features that allow for a better reporting. However, remember that if you are not sure how to use it — or if your account is not yet ready — you can still use the existing pixel to track conversions. Will you upgrade to the new pixel? What do you think of the new events and parameters? Let me know your thoughts in the comment section below!